Slow Cooker General Tso’s Chicken, Better Than Takeout & SO IRRESISTIBLE! When you take your first bite of Slow Cooker General Tso’s Chicken, you’ll make a vow to NEVER order Chinese takeout again. It’s impossible for any restaurant to top this recipe — and that’s not even the best part! For many of us, General Tso’s Chicken has always been our favorite takeout dish. 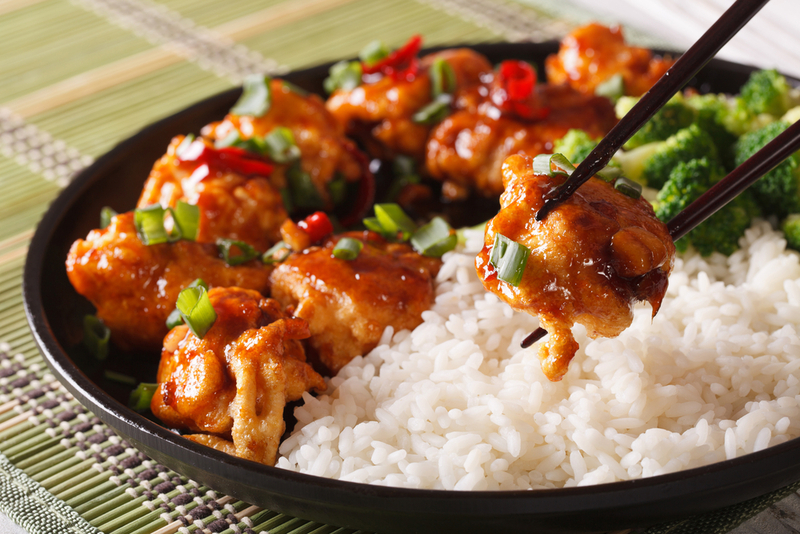 Those lightly battered pieces of dark chicken fried in a chili-accented sweet-and-sour sauce are simply irresistible! But when you try this super easy and delicious recipe for Slow Cooker General Tso’s Chicken, your taste buds will never be the same. So what’s the BEST part about this genius recipe? It’s surprisingly healthier than ordering takeout! Slow Cooker General Tso’s Chicken is a hassle-free AND guilt-free way to satisfy your Chinese takeout cravings. Add chicken and cornstarch to a large ziplock bag. Toss to coat the chicken with the cornstarch. Heat oil in a large skillet or wok. Add the chicken to the slow cooker. Add hoisin sauce, vinegar, sugar and sesame oil to a medium bowl and whisk until combined. Pour the sauce onto the chicken and stir to coat the chicken. Cook on low for 2-3 hours. Serve over rice or noodles and enjoy! * Serve with green onions and sesame seeds for serving, if desired. * For an extra kick, serve with Sriracha sauce or crushed red pepper flakes. HELP YOUR FELLOW HOME COOKS BY SHARING THIS ARTICLE NOW!